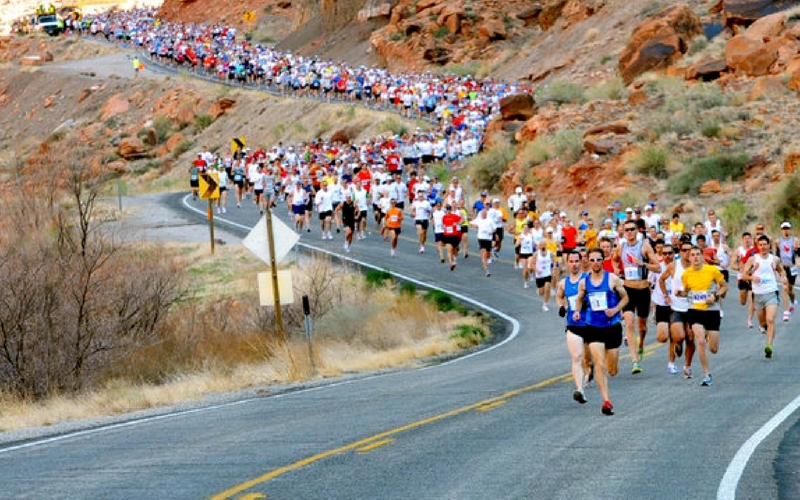 The first Canyonlands Half-Marathon was run on May 1, 1976. All of 22 runners (plus one dog) crossed the finish line at Lion’s Park at the intersection of Highways 191 and 128. The next year a Five-Mile Run was added; it had seven finishers. The races grew steadily over the next decade and a half. In 1983 when the Rim Rock Roadrunners (RRR) took over from the Chamber of Commerce, there were 631 finishers in both events. That same year the RRR instituted the Winter Sun 10K. In the 1990s Moab, Utah was discovered as a tourism destination and participation really took off. By the time current race director Ranna Bieschke was appointed in 2002, more than 3200 people were crossing the finish line. She and course director Sheri Simmons added The Other Half to the race roster in 2004, then founded Moab Half-Marathon, Inc. in 2006. In 2012 they introduced the all women's Thelma & Louise Half-Marathon. Today the organization employs 11 event staff and coordinates with dozens of local organizations and hundreds of volunteers to present the Canyonlands Half- Marathon, Thelma & Louise Half-Marathon, The Other Half and the Winter Sun 10K. An island of busy civilization in a sea of desert wilderness, Moab is southern Utah's adventure base camp. Day trippers to Arches or Canyonlands National Parks can return to a hot tub and pub food, a boon after a dusty day on the trail. Unlike the rest of the region, here you can shop for groceries till midnight, buy a bottle of tequila, get a cell signal and even a late dinner. For those coming from the wilderness, the hubbub can be jarring. Corporate chain motels line Main St, souvenir shops abound and streetlights and neon signs blot out the night sky. Still, there’s a distinct sense of fun in the air. Everyone is here to play in Utah’s recreation capital – from the hiker to the four-wheeler, recreationists’ enthusiasm borders on fetishism. 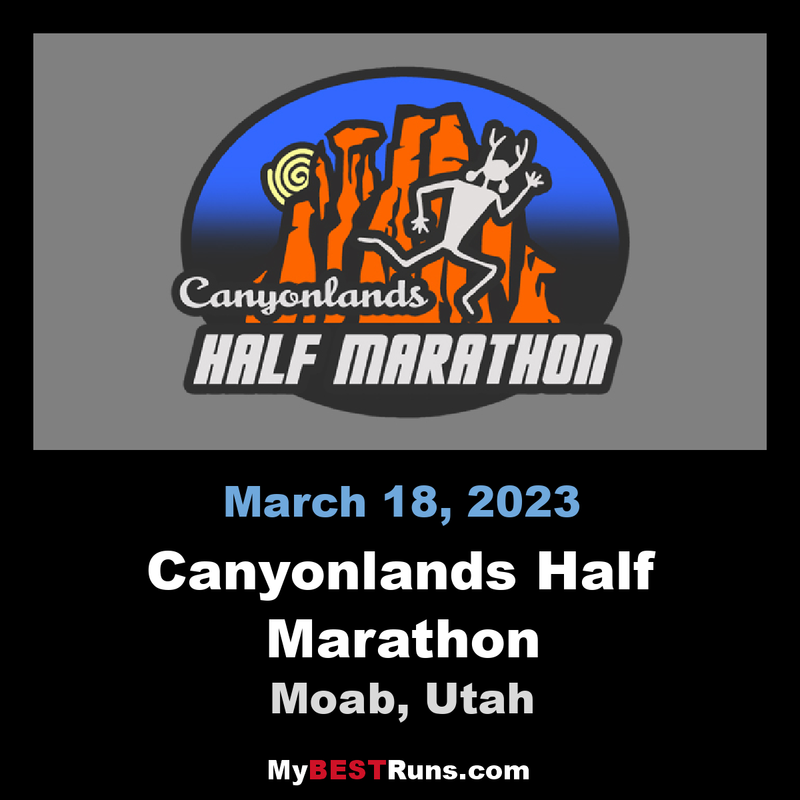 Runners get the chance to run in the shadow of the majestic red rock formations of Utah’s Arches National Park at the Canyonlands Half Marathon, which will celebrate its annual running as winter is giving way in the spring. Now one of the Moab area’s most popular outdoor athletic events, the race has seen its field of runners grow from just 21 at its first running to more than 2,700 finishers, thanks in large part to the stunning red rock scenery that lines the course. Set at a moderate elevation of about 4,000 ft., the half is run on a USATF-certified and sanctioned course that offers a challenging mix of rolling hills and fast descents. I have never run this course but it really looks beautiful. The scenic course follows the Colorado River through a dramatic redrock canyon. Food, beer, awards and live music await you at the finish in downtown Moab. 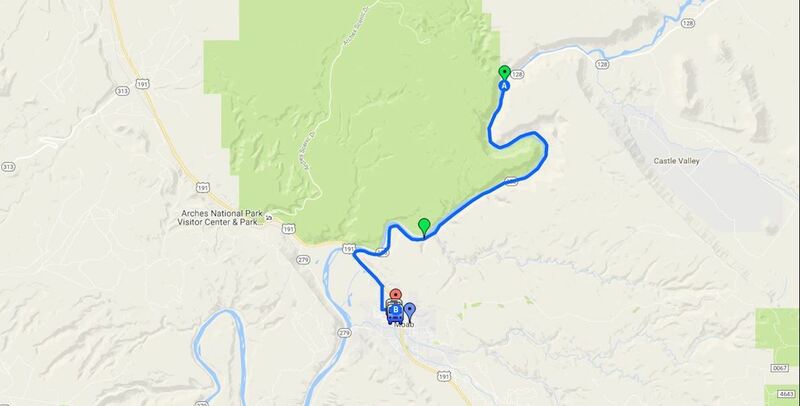 Beginning approximately 11 miles up Highway 128 outside of Moab, the first 11 miles of the race follow the paved highway road as it winds through the beautiful red rock canyons carved by the Colorado River. Two miles from the finish, the road exits the red-walled canyon and continues on Highway 191 and through the streets of Moab to the finish line in Swanny City Park, where refreshments, live music, and post-race massages await the finishers.